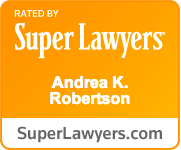 * Designated a "Super Lawyer" via Thomson Reuters, 2014-2017. * Repeatedly designated a "Rising Star in Washington Law" by Washington Law & Politics, from 2004 - 2013. * Part-time Lecturer on Trial Advocacy for University of Washington School of Law : 2016 - present; Guest speaker 2014 - 2016. * Featured speaker at statewide seminars: Washington Association of Criminal Defense Lawyers, Washington Defender Association, Washington Foundation for Criminal Justice. * 2004 Warrior Graduate of the nationally recognized Gerry Spence Trial Lawyers College in Dubois, Wyoming. * Featured speaker at multiple seminars in Washington regarding trial techniques, presenting to members of criminal defense bar. * Featured speaker on multiple occasions at WFCJ's yearly "Defending DUIs" seminar, presenting techniques to over 300 attorneys from across the State of Washington. * Elected member of the Washington Foundation for Criminal Justice. * Co-VP of Professional Development and Events for Washington Women Lawyers, 2005-2007. * Appointed to the Executive Committee of the Washington State Bar Association Criminal Law Section; 2002-2004. * Elected Trustee of the Young Lawyer's Division of the King County Bar Association; 2002-2005. * Published articles on criminal law in Washington Defense and Trial News magazines, as well as the Seattle Post-Intelligencer. * Testified regarding impact of DUI related legislation before the Washington State House Judiciary Committee. * Recipient of certificate from University of Washington Extension programs in Forensics. * University of Washington Law School Moot Court Honor Board. * Nominated to the National Order of Barristers. * Associate Attorney for the respected criminal defense firm of Fox, Bowman & Duarte; 2002-2006. * Member of Washington Association of Criminal Defense Lawyers and the Washington State Bar Association.